G.M. Internationals NEW universal mount D5000 series I.S. Isolators provide the most simple and cost effective means of implementing Intrinsic Safety into your Hazardous Area applications. Compatible with a wide range of measurement and process control applications. 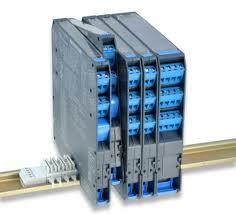 SIL 3 Safety relay contacts rated 4 A / 10 A for direct switching of loads. 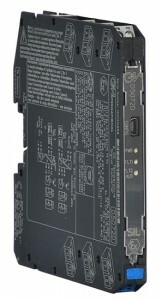 Three-port galvanic isolation to eliminate noise, ground loop problems. Intrinsic safety without need for high integrity ground. 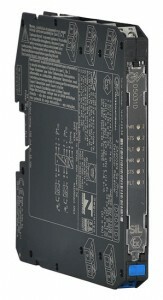 Line fault detection for open or short-circuit wiring. Mounting on DIN-rail w/wo power bus, or on termination panels. 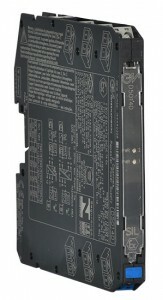 Very low heat dissipation despite high density and functionality. SMD manufacturing to maximize long, reliable life. Absence of electrolytic capacitors—minimum 20 years lifetime. 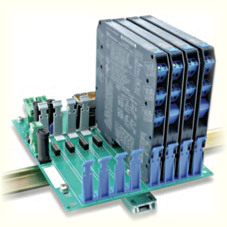 Same density on DIN rail, power bus, and termination panels. Power and fault signals on same bus connectors.